This highly portable WB-521 scale system is designed with simplicity in mind. In just a few minutes the entire scale is setup and ready to weigh. 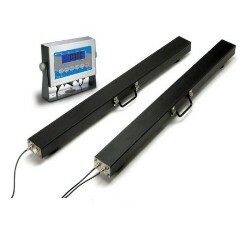 The system includes two Weigh Beams with built in carry handles and 13' of load cell cable with quick connectors. Capacities: 5,000 lb x 0.5 lb or 10,000 lb x 1 lb. These are no longer made but we offer similar versions. 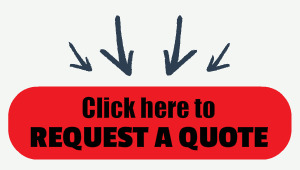 These are no longer offered but we do offer similar versions from other suppliers, contact us for details. The Brecknell WB-521 Series Heavy Duty Weigh Beams with SBI-521 Indicator are a highly portable scale system and is designed with simplicity in mind. In just a few minutes the entire scale is set-up and ready to weigh. This fully portable scale system is ideal for weighing pallets, long loads, and installations under conveyors, tanks and hoppers. The weigh beams available from Central Carolina Scale are also suitable for weighing long lengths of pipe or other difficult to handle materials. The dimensions of the beams are 47.24L x 3.94W x 2.36H. Meanwhile the beam to beam cable length is 13 feet as is the cable length from the beams to the digital indicator.